Cheverny is a wine appellation (and town) in France's Loire Valley that produces a mish-mash of wines from various grape blends. If you only have a day for wine tasting in the area, we would recommend Sancerre instead. However, if time is not an issue, Cheverny is a fun day trip and can be combined with a stop at the spectacular nearby Chateau de Chambord. Our favorite of the excellent "Maisons des Vins" throughout the Loire Valley. 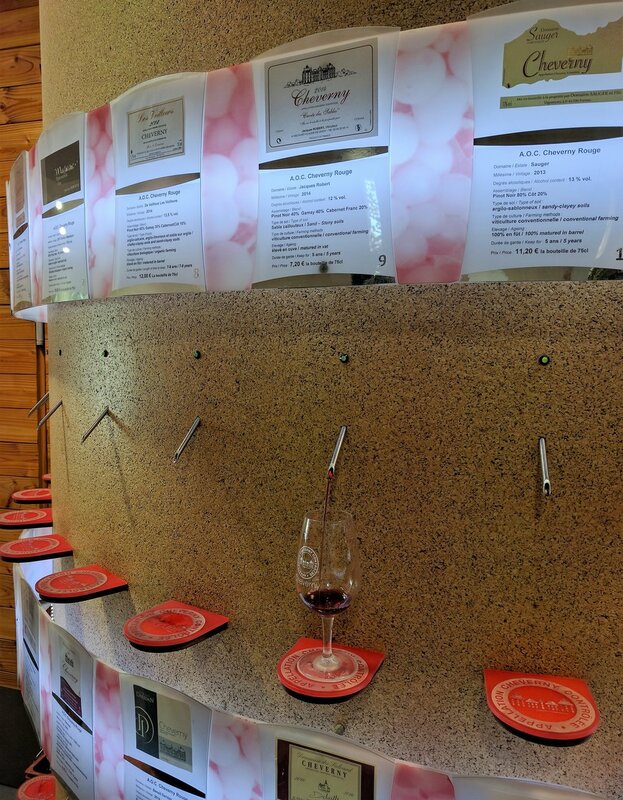 There are a handful of wines available for free tasting but, for €6.50, visitors can sample seven area wines from the myriad available in the Enomatic auto-pour machines. Situated in the Cour-Cheverny appellation, one of the only places in the world producing wine from Romorantin grape, this winery provides a fun wine/cheese paired tasting. We wouldn't call it a must stop, but we certainly enjoyed the visit.